The Problem With Teaching Preschool Teachers : NPR Ed A new report suggests that many preschool teachers aren't getting the training they need to help students excel. The U.S. spends a lot of money on preschool — billions of dollars each year. When invested wisely, research suggests the costs are justified by significant returns to society, including savings from crimes not committed, welfare dollars not distributed, and taxes on higher earnings. But a new report suggests many preschool programs aren't as good as they could (or should) be — because their teachers arrived on the job poorly trained. "There's a lot of attention to expanding access [to preschool], but there's insufficient attention to the quality of the programs," says Kate Walsh, president of the National Council on Teacher Quality. Walsh and her colleagues studied 100 training programs for aspiring preschool teachers: five associate's degree programs, 54 bachelor's programs, and 41 master's or graduate degree programs. No matter how much we invest in preschool, we will get mixed, often disappointing results. They found that most offerings only briefly touched on skills specific to early childhood teaching, including how to build children's language abilities and introduce them to early mathematical concepts. Roughly 40 percent of training programs didn't specifically require a course on teaching preschool, and 20 percent didn't allow student teaching in an actual preschool. "The training provided to aspiring preschool teachers is very, very uneven," the researchers concluded, "meaning no matter how much we invest in preschool, we will get mixed, often disappointing results." Steven Barnett is director of the National Institute for Early Education Research at Rutgers University. He's closely studied the famous High/Scope Perry Preschool in Ypsilanti, Mich., which long ago set the standard for quality: a well-resourced program that included two highly qualified teachers for every 12-13 children, a planning team and a strong curriculum. "It's an example of, in some ways, the best that an early childhood program could and should be," Barnett says. This estimate puts Perry's benefit to the public at nearly $13 for every $1 spent. Can we expect a similar return for every dollar invested in the average preschool program? Barnett says that's "completely unrealistic." The problem, according to Walsh, is that many teacher training programs lump aspiring preschool teachers in with those who want to teach older kids. "A first-, second- or third-grade teacher will need to know how to teach phonics or fluency in reading," Walsh says. 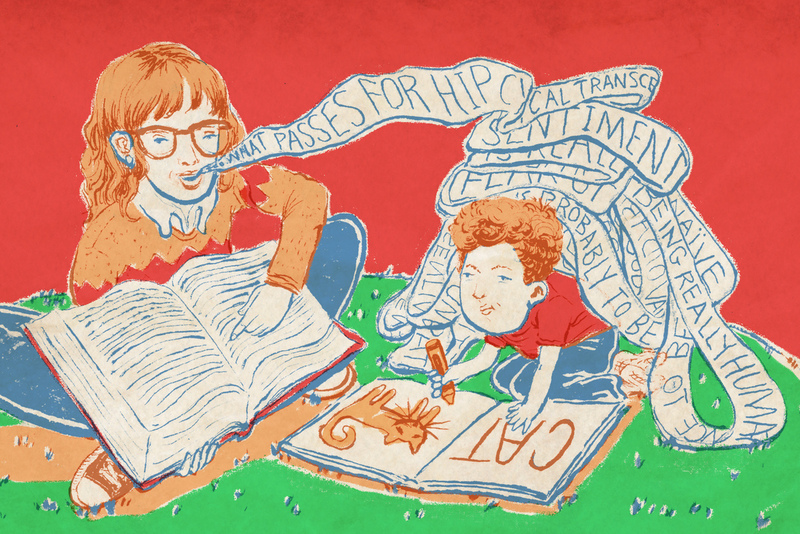 "Those are good things, but that's not what a preschool teacher needs to know." Take language skills, for example. Walsh says expanding a child's ability to express herself is "the most important job of a preschool teacher." Yet she and her colleagues found that a two-year training program might spend only 2 percent of class time on building children's language. Spending so little time on such an essential skill, Walsh says, "is a disservice to future teachers and a disservice to the children they will one day teach." Children from low-income backgrounds may miss out the most. Many parents lack the resources to expose their children to learning-rich environments, Walsh says. By the time the average child from a low-income background enters preschool, for example, she has heard 30 million fewer words than her higher-income peers. Preschool, Walsh says, is a crucial chance to close that gap. "You can't emphasize enough the opportunity that we have with preschool," she says. "But what's so distressing to us is that we waste that opportunity by not giving teachers what they need."